Melvyn Bragg and his guests discuss the Battle of Bannockburn of 1314, an important victory for Scotland in its fight to win independence from England. 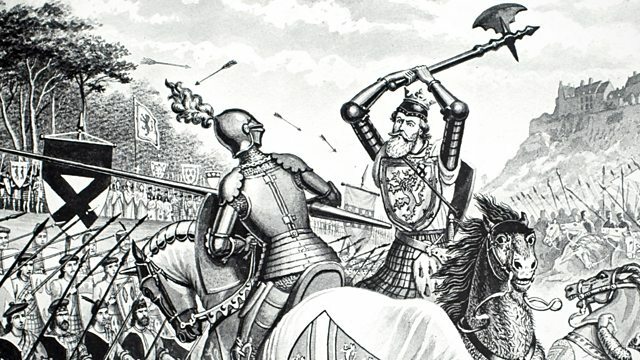 Melvyn Bragg and his guests discuss the Battle of Bannockburn.On June 23rd 1314, Scottish forces under their king Robert the Bruce confronted a larger army commanded by the English monarch Edward II at Bannockburn. It was the culmination of a war of independence which had been going on since the English had invaded Scotland in 1296. After eighteen years of intermittent fighting the English had been all but expelled from Scotland: their last stronghold was the castle at Stirling.The Scots won a decisive victory at Bannockburn. The English were routed and their king narrowly escaped capture. Although it took a further 14 years for Scotland to achieve full independence with the 1328 Treaty of Edinburgh-Northampton, this was an important triumph; today it remains one of the most discussed moments in the nation's history.With:Matthew StricklandProfessor of Medieval History at the University of GlasgowFiona WatsonHonorary Research Fellow in History at the University of DundeeMichael BrownReader in History at the University of St Andrews Producer: Thomas Morris.